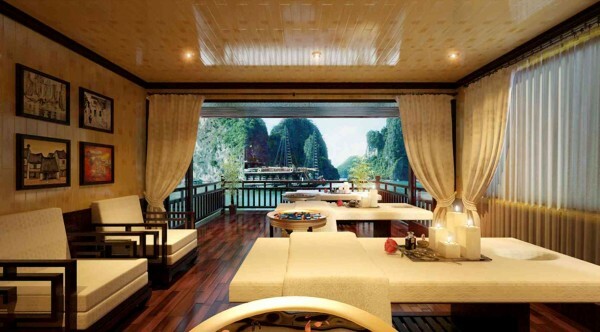 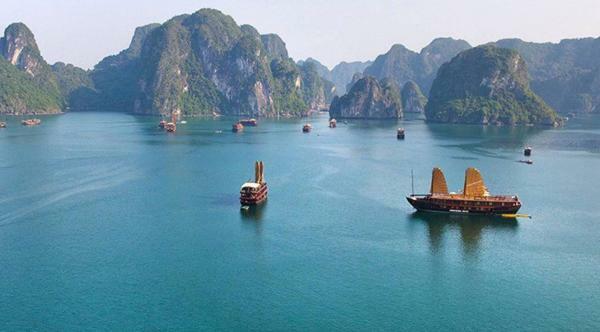 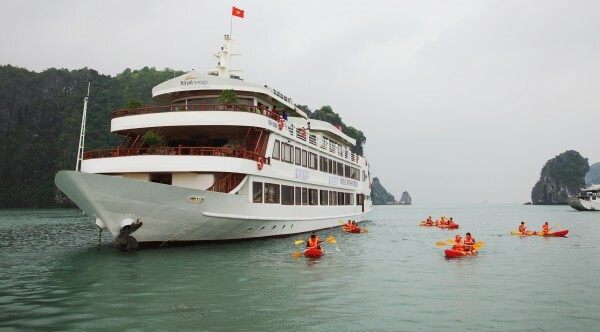 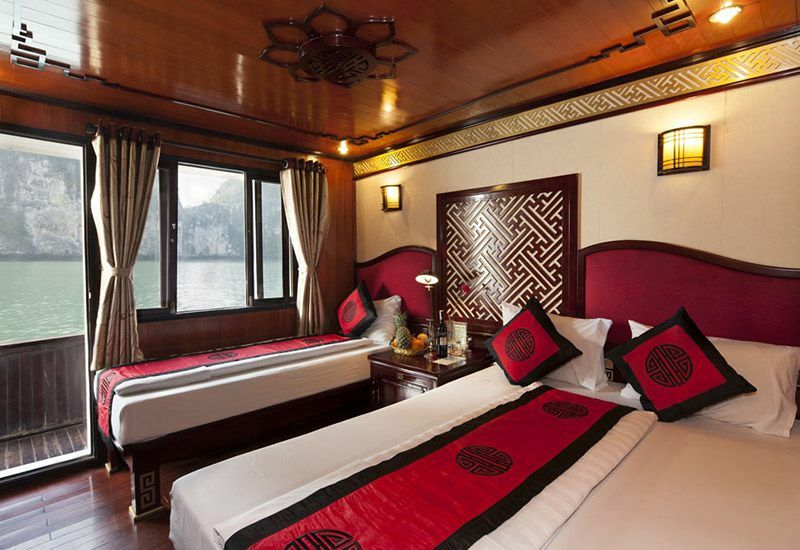 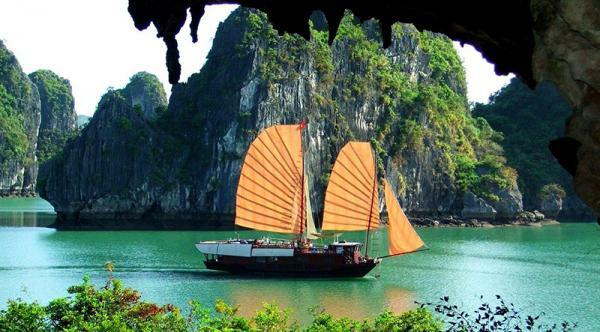 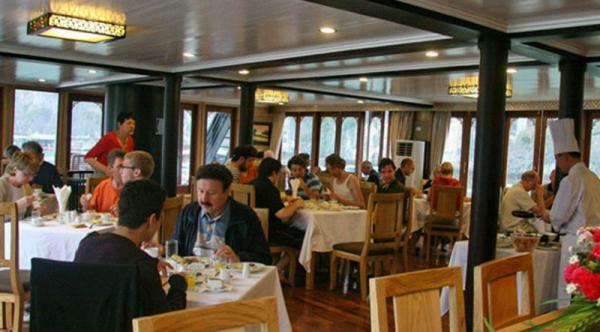 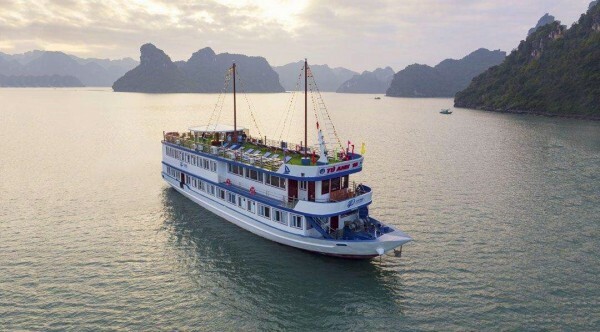 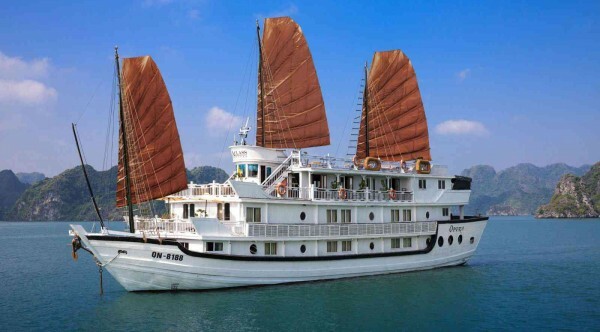 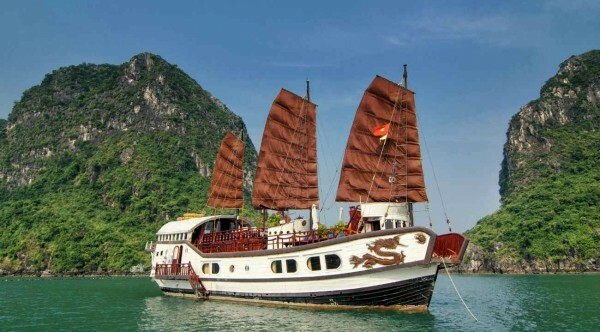 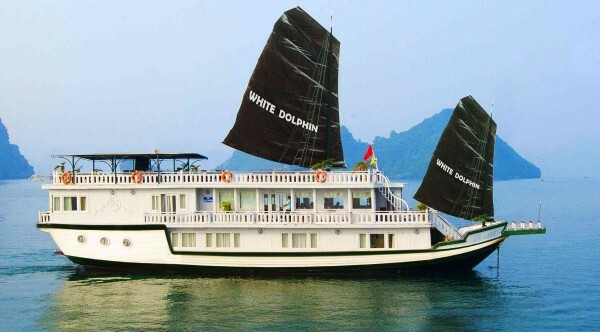 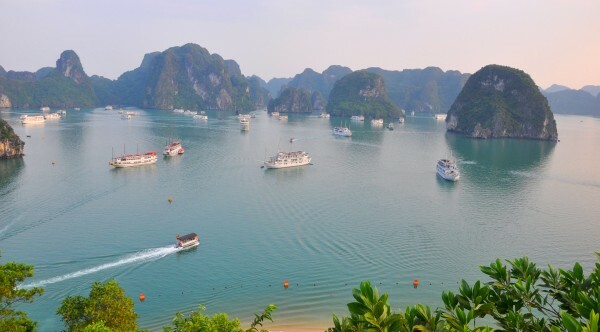 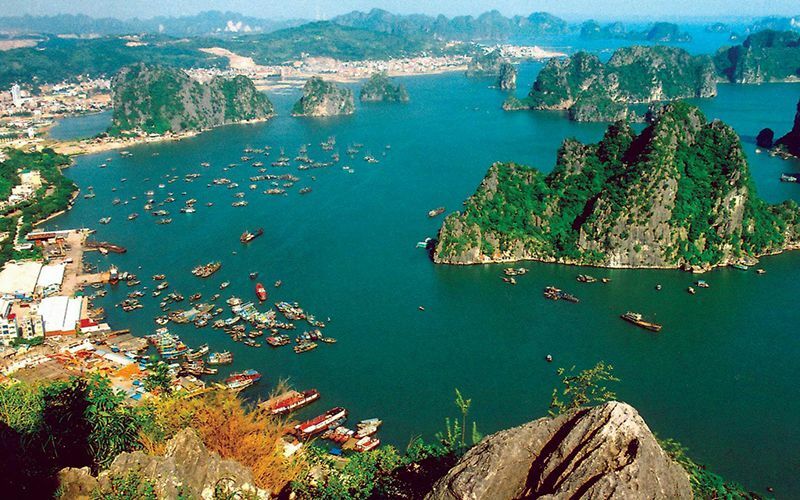 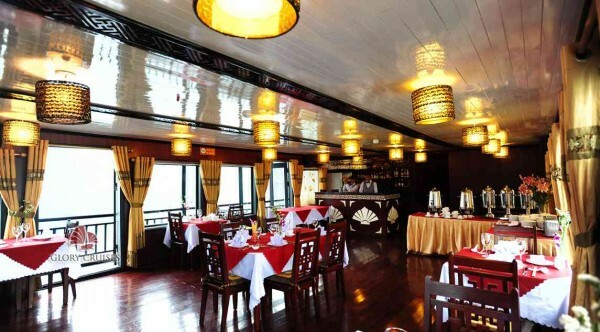 Galaxy Classic Cruise consists of 09 cabins to do overnight trips in Halong bay. 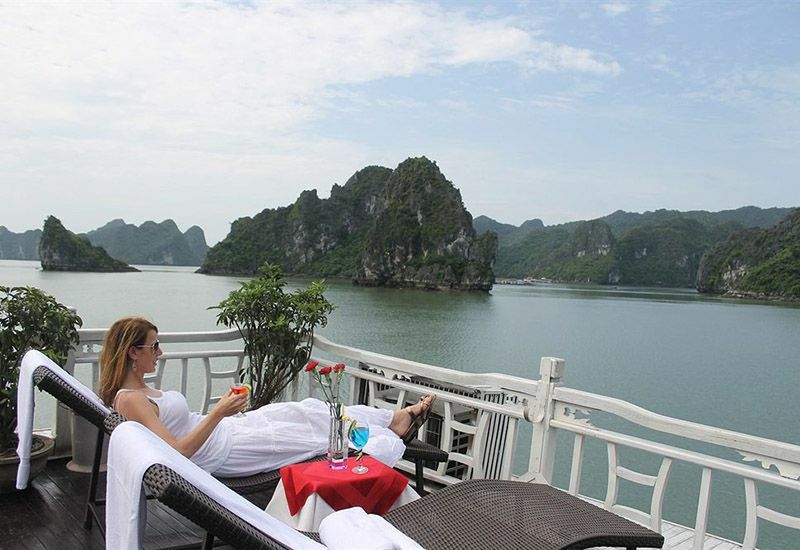 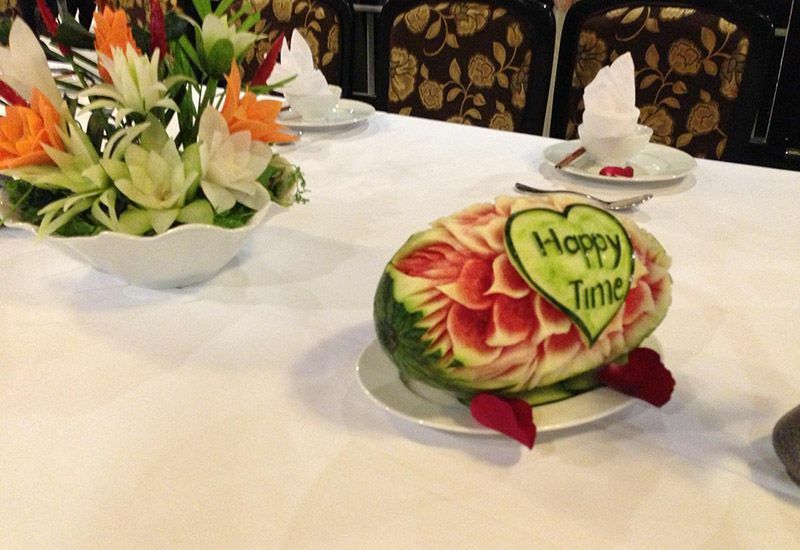 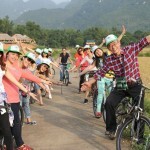 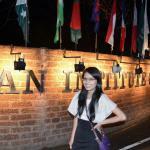 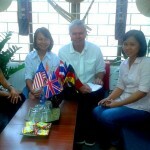 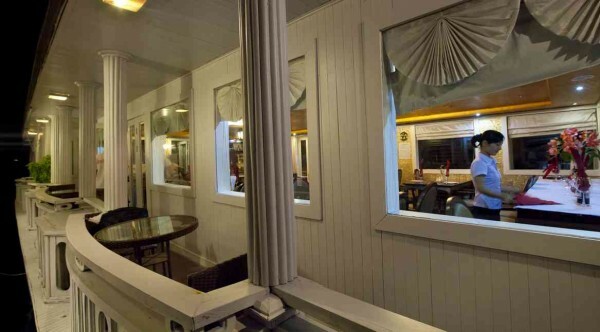 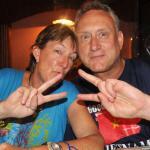 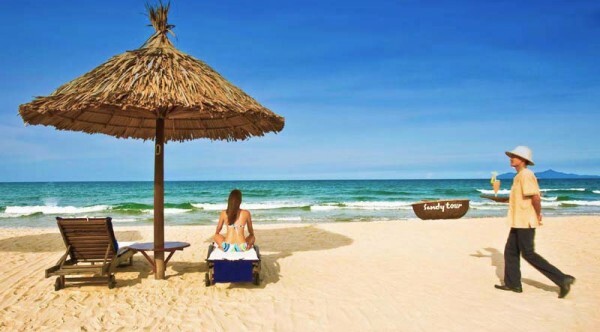 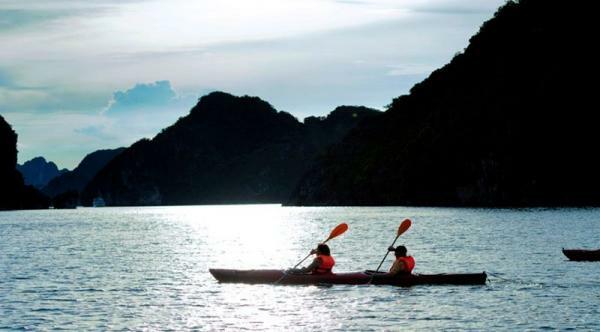 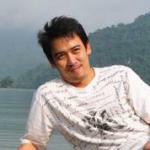 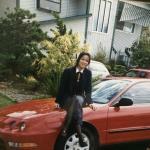 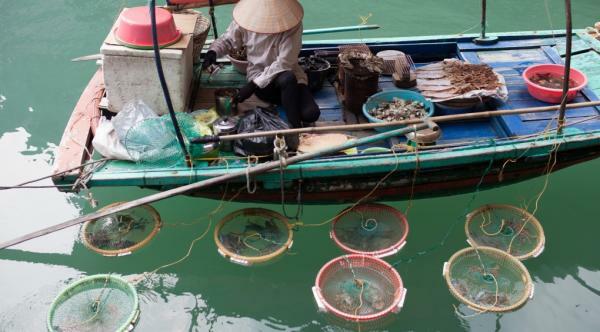 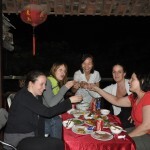 It rated as 3.5 stars service based on Certification of Vietnam Tourism Ministry and also customer reviews . 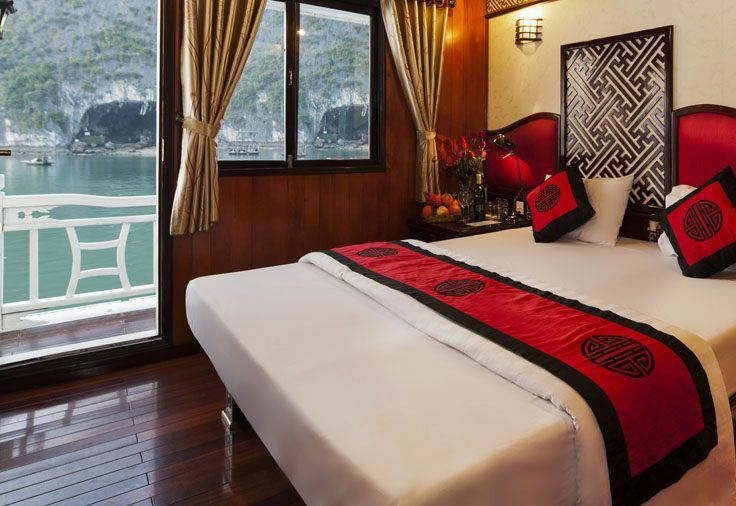 Started to work from 2011, Galaxy Classic Cruises has many times to renovate and improved facilities to offer an utmost comfortable and a memorial stay for you!Let’s travel with the best cruise on Halong Bay! 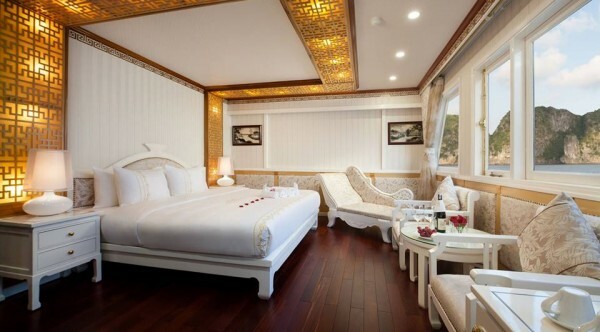 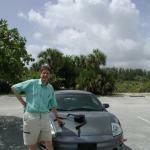 – Full furnished deluxe cabin with A/C. 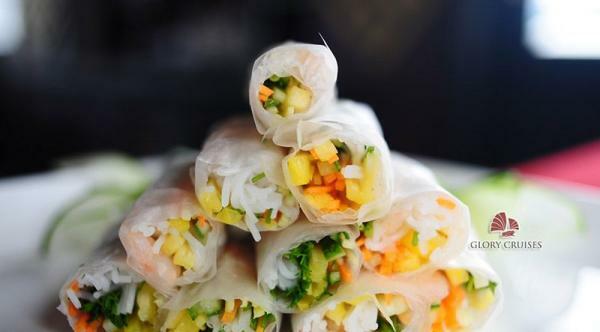 – 1 breakfast, 2 lunches and 1 dinner. 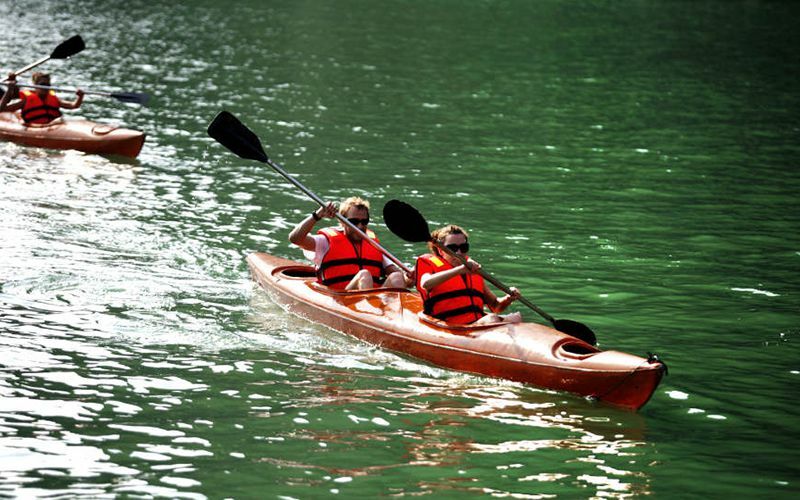 – Kayaking. 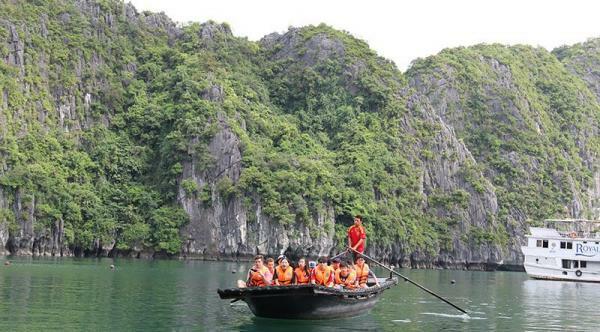 Local rowing boat.